Members of Sigma Nu celebrate after winning the Tugs championship Saturday afternoon at the Campus Pond. Members of Sigma Pi slapped the water out of anger Saturday after being dragged in the Campus Pond by Sigma Nu during the final round of Tugs. While Sigma Nu cheered, hugged, smiled and laughed, Sigma Pi walked away from the pond and out of sight. The second place team did not congratulate Sigma Nu as is customary. Greek Week wrapped up another year Saturday with Pyramids in the morning and the final round of Tugs in the afternoon. In the end, Sigma Nu and Alpha Sigma Alpha were the Tugs champions for the fraternities and sororities, respectively. Sigma Pi and Sigma Phi Epsilon came in second and third for the fraternities and Sigma Sigma Sigma and Delta Zeta came in second and third for the sororities. 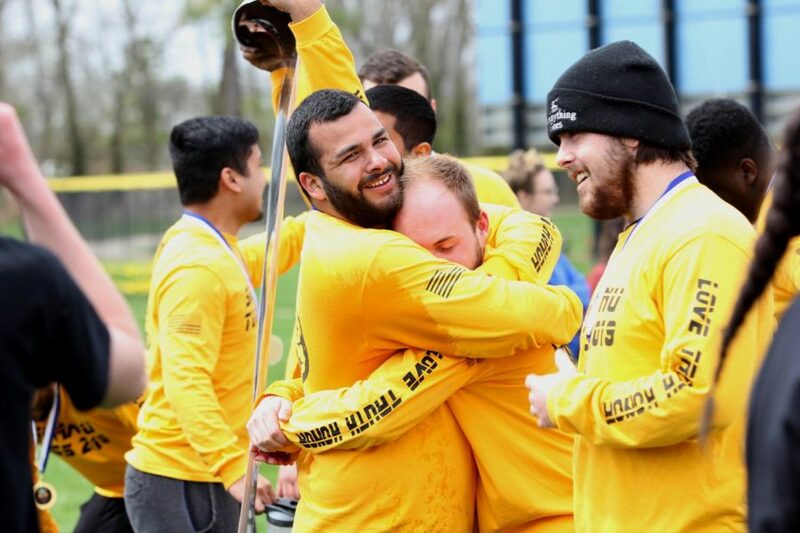 Damian Perez, the leader of the rope for Sigma Phi Epsilon and a construction management major, said it felt good to tug with his brothers and all the hard work put into practice was worth it. Sigma Phi Epsilon won over Pi Kappa Alpha and Perez said the hardest part about tugging was the endurance. “The rope gets heavy, especially when it’s wet and there’s times where you want to quit. But you just got to keep going and push on,” Perez said. Kamryn Gengler, a member of Delta Zeta and a special education major, said it was her first year tugging and winning a tug is one of the greatest feelings. She said that her team put in months of hard work and it is rewarding to see that it paid off. Gengler also said that one of the hardest parts of tugs is the night long practice. “It’s all about pushing yourself and giving it your all during practice,” Gengler said. Sigma Kappa and Pi Kappa Alpha won Pyramids. 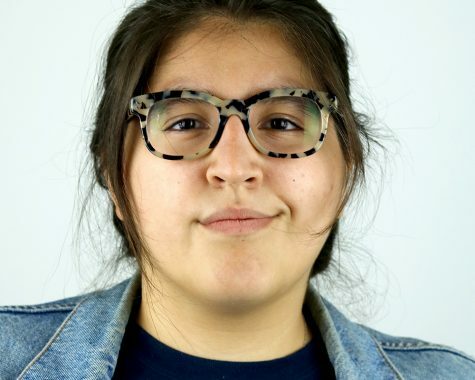 Isabel Garcia, a senior in management major, and Sunny Joiner, a senior organizational development major, are members of Sigma Kappa said it felt good to win. “It feels really good. We didn’t know how we were going do, so we are really happy that we pulled through and everyone gave it their all,” Garcia said. Morgan Hasler, a business management major and member of Delta Zeta, said she was glad that her and her team placed third. “We had a bunch of injuries too. My leg hurt and someone else’s leg got messed up so I’m honestly just happy,” Hassler said. Analicia Haynes contributed to the story. BreAnna Celestin can be reached at 581-2812 or [email protected].